Most tours and activities on the Peruvian side of Lake Titicaca leave from the city of Puno. This underrated regional hub is rich in culture and offers tons of options for visitors to explore the region and experience the local way of life. 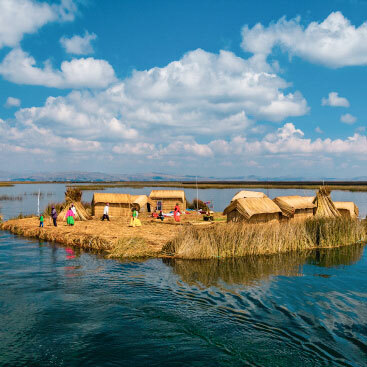 The Uros people famously built their homes on floating totora reed islands to escape the invading Incas centuries ago and still maintain that way of life today. Come see this unique alnd interesting lifestyle for yourself. The Quechua-speaking inhabitants of Taquile Island maintain a distinct culture from their Aymara-speaking neighbors and are especially famous for their textiles. You can visit Taquile on a tour stopping at various islands in the lake. 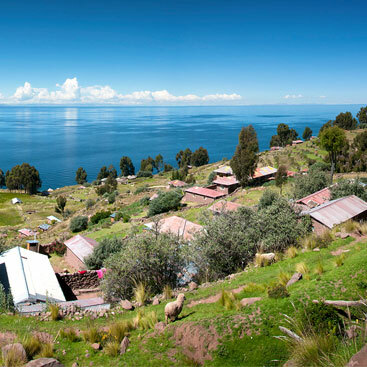 The best way to truly experience local culture up close is by doing a homestay with a family on Amantani Island as part of a two-day tour of Lake Titicaca The people of this island maintain a very traditional agricultural lifestyle. 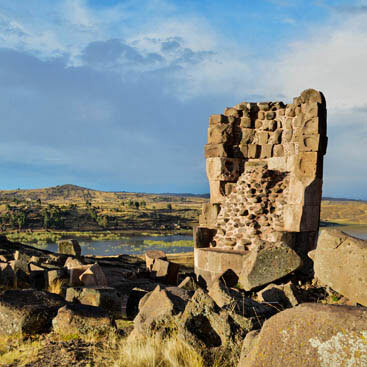 This pre-Inca cemetery is the best place near Puno to see “chullpas,” a type of above-ground grave which resembles a tower. These monuments are some of the most impressive and memorable works of the ancient Aymara people. 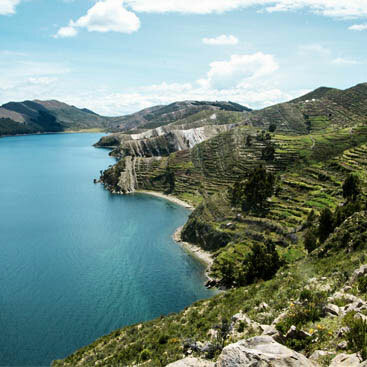 This is the most adventurous way to see the various islands of Lake Titicaca. 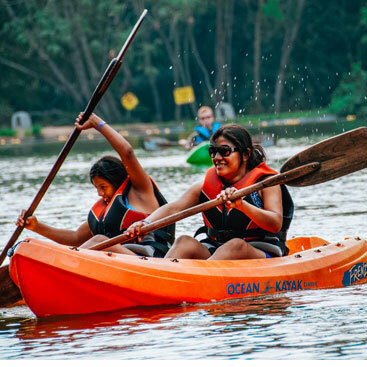 You can visit Uros, Amantani and Taquile Islands by kayak, accompanied by a guide. You can do it as a day trip or stay overnight on one of the islands. 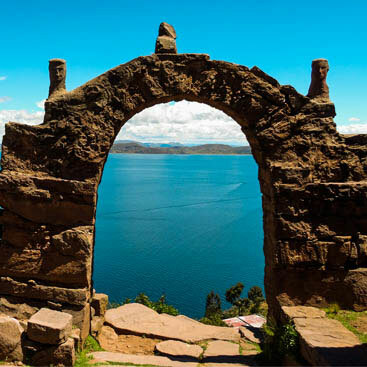 Most tours and activities on the Bolivian side of Lake Titicaca leave from Copacabana. This iconic lake town has lent its name to a famous beach in Brazil among other places, but still maintains its low profile and easy-going charm. Legend has it that the “Island of the Sun” was where the creator god Viracocha emerged from Lake Titicaca and created the sun. The island is home to many sacred Inca artifacts and is one of Bolivia’s best-known attractions. 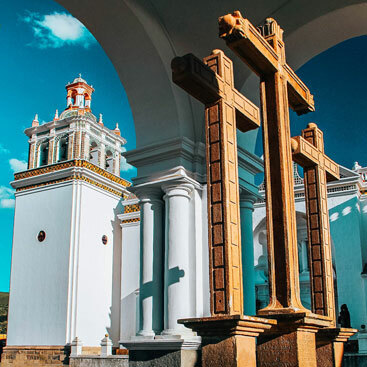 This 16th-century Spanish shrine is the most important religious pilgrimage site in Bolivia. Even if you’re not religious, it’s worth paying a visit here to admire the Moorish-style architecture and ornate gold-laden interior. 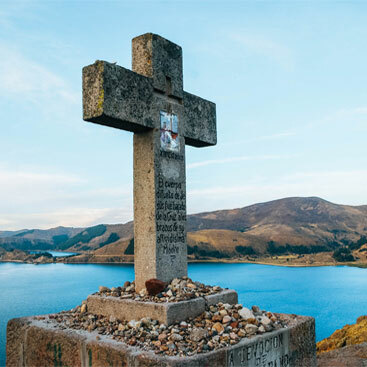 At the top of Cerro Calvario, you’ll find the best view in Copacabana, a vista point overlooking the town below and the majestic Lake Titicaca by its side. It’s highly recommended to hike the trail near sunset for the best photos.